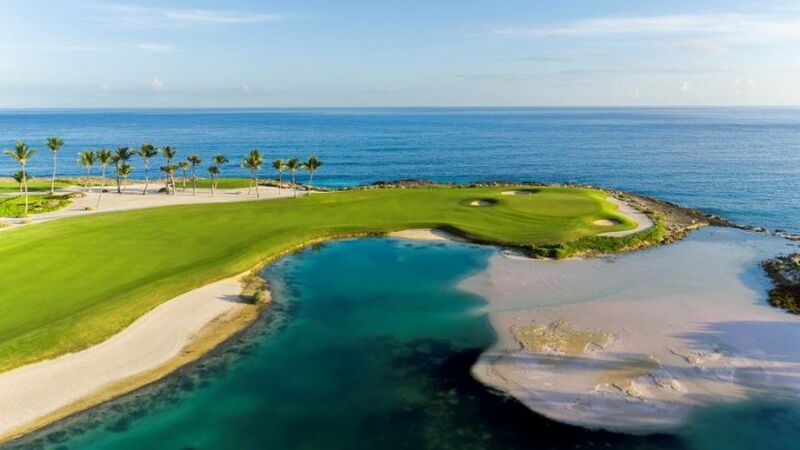 “Oh I want to take her to Bermuda, Bahama come on pretty mama Key Largo, Montego, baby why don’t we go…” to most this sounds like a traveling song (thanks to The Beach Boys); however, to a golfer, this sounds like a dream golf destination song. 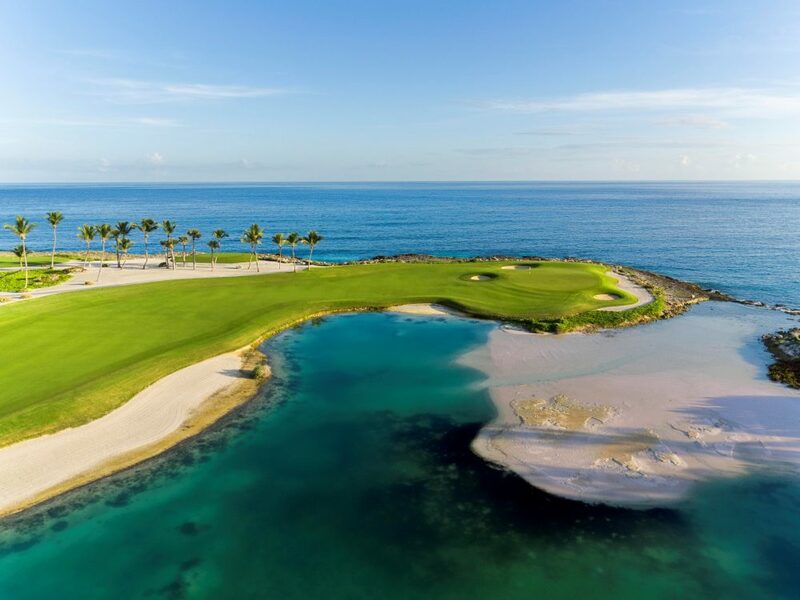 Not only do the places listed above offer both the beaches and the sun, they also share some pretty amazing golf courses. To a golfer, mixing travel and golf is like mixing peanut butter and jelly; they just belong together. Now, when it comes to traveling and golf, there is one big conundrum that each golfer must face in order to conquer golf courses across the world. Do you know what that is? We are talking about how you can get your golf clubs from one part of the world to another. There are, essentially, two options when it comes to traveling with golf clubs: keep them home and rent clubs at your destination or bring your clubs with you. If you are anything like me, renting clubs at the course sounds worse than going to the dentist. For one, you have no idea which set of clubs you will be given, or what shape they will be in. Second, they aren’t yours; they are not the precious clubs that you have bonded with and shared blood, sweat, and tears with. This leaves only the second option to discuss, having your clubs on the course with you and that will be the topic of discussion for our article today. This is probably the cheapest option available. 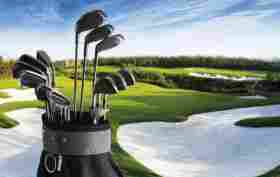 Depending on your airline, you can generally get clubs to and from your destination for $50. Lower cost providers such as Spirit and Frontier generally charge more, so you would be looking at $70 for round trip. Another positive for this method is that when you travel internationally, the charges may be cheaper, that is if you use your golf bag as one of your check-in bags. In this case, it would be absolutely free. So, if this option is the cheapest and easiest, why are there any other options? Well, the fact remains that airlines can be quite mindless when it comes to luggage, as we all know too well. Also, when they misplace your luggage the airlines don’t give any recoupment fee. Another reason this type of club transportation is faulty is that airlines tend to mishandle luggage frequently and you would want your precious irons getting damaged. If you do choose to use this option be sure to take before pictures of your clubs, in case the airline damages them, so then you will have proof of whose fault it is. Another precaution to take prior to your clubs boarding the airplane is to make sure they are properly protected, as you would with any other valuable asset. If you think you can just load up your golf bag and bring it to the airport you are in for a world of shattered six irons. One important piece of gear that is highly recommended is a golf travel bag. There are several options for travel bags. One is the regular canvas type golf bag and the second is the canvas hard shell blend canvas bag. There is also a third option, which is a full-shell bag. For the regular canvas bags, think of it like a regular suitcase. For the shell bag, it models harder suitcases. Last, for the hybrid bag, imagine a suitcase with a hard shell on top to protect the tops of the clubs. The second layer of protection is inside the case. It is known as the head cover for all your clubs. Do not be fooled into thinking that just a head cover on the driver will suffice, no, no, no! There are large airline workers who handle baggage that is ready to have a javelin throwing contest with your prized clubs. If the proper techniques for protecting clubs are used, I suggest this option as I have traveled to Cancun to play golf and brought my clubs along with me with no trouble. This option takes the hassle and stress out of an already hectic trip to the airport. If you use a shipping company, you simply need to pay for the shipping and schedule to have your clubs picked up or drop them off at the nearest location. So, what is the downside, you may ask? Well, this option can be extremely expensive. For basic ground service, which can take up to 6 days, from Florida to Texas ( an average route) would cost you $100. When you ship clubs this way, you must also know or find someone to be responsible for holding on to your clubs for you. This task, on the outside, seems rather easy but I have stayed in hotels where the front desk had trouble finding my reservation. I couldn’t imagine entrusting them with my clubs! Also, in the time between delivery, you would have to survive without your golf clubs. While, from one end this looks like it relieves stress, on the other, it could add it. Ship Sticks is a new company that only handles club transportation. Since they specialize in handling clubs, Ship Sticks, has a lot of nice accommodations for golfers. For one, they have contracts with many clubs around the world, which allow the clubs to receive your clubs for you. This will negate a lot of the stress involved in travel, as you do not have to worry about lugging your clubs from the hotel to the golf course and back to the hotel then drop them off after the vacation is complete. Additionally, Ship Sticks understands how important it is for you to have your clubs at the course on time. In fact, if they do not deliver your clubs on time, they will give you a $200 credit in order to purchase a rental set and golf balls. The downside of this method is that they are pretty pricey. For example, shipping your clubs from Florida to Houston will cost you $55 each way and the clubs will be delivered in three days. This option is definitely to be considered if you want your clubs to be taken care of and want to avoid dealing with transporting the clubs. Although all of the above options have various positives and negatives, the important thing is to make sure you look through all the options and choose the best for you. For those who want to save money, taking your bags with you on the plane is the best option. For those who want to avoid the stress of toting clubs around the UPS or FedEx is the best option. Lastly, for those who want concierge-type service, going with Ship Sticks provides the best option.